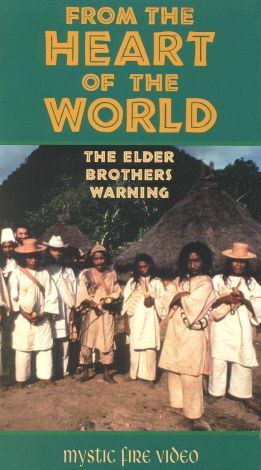 From the Heart of the World: The Elder Brothers' Warning examines the ancient way of life of the Kogi Indians, descendants of the Tairona civilization that vanished from pre-Columbian America 400 years ago. From their remote mountain villages the "Elder Brothers," as they refer to themselves, watch as civilization gathers momentum, destroying anything that impedes its progress. Kogi life centers on the intricate balance that is characterized by Aluna, mother of the world. The Elder Brothers' warnings to modern man, or the "Younger Brothers," are directed at the way this balance is overlooked in modern culture.